Nowadays, Wifi is everywhere but the demand of internet connectivity at all times is increasing dramatically. We all need Google Maps to get around, want to keep track of our social media feeds, Snapchat our experiences and order Ubers. Even if we’re on holidays we feel the need to be connected at any time. However, using your home operators offer abroad might be very expensive so many opt for local SIM cards or Travel SIM cards. Which is the best SIM card for Stockholm? Easy to understand offer: Is the offer easy to understand and transparent? Does it have any hidden traps? Coverage and data speed: Is your travel destination covered and if yes, is the data speed slow or fast at your travel destination? TopUps: Is purchasing a TopUp complicated or is it to be done easily? Support: Is there support available in case you need it? 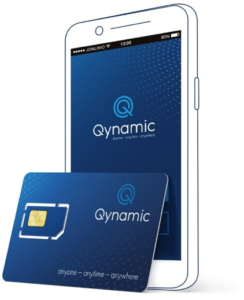 Qynamic, a swiss based company offers Q-Travel and Q-SIM, an excellent solution for Stockholm and the rest of the world. Very attractive prices, easy onboarding and convenient to use.